In it's sixth installment, our weekly correspondence from Tom Kristensen continues. In this week's letter, TK reports live from Circuit Paul Ricard and delivers some bad news. After getting behind the wheel at Monza testing, it appears his left leg has still not healed enough to compete at Le Castellet. TK notes that though the race is important, Audi will use the 8 hour race at Le Castellet to "get to know the R15 plus in race conditions." 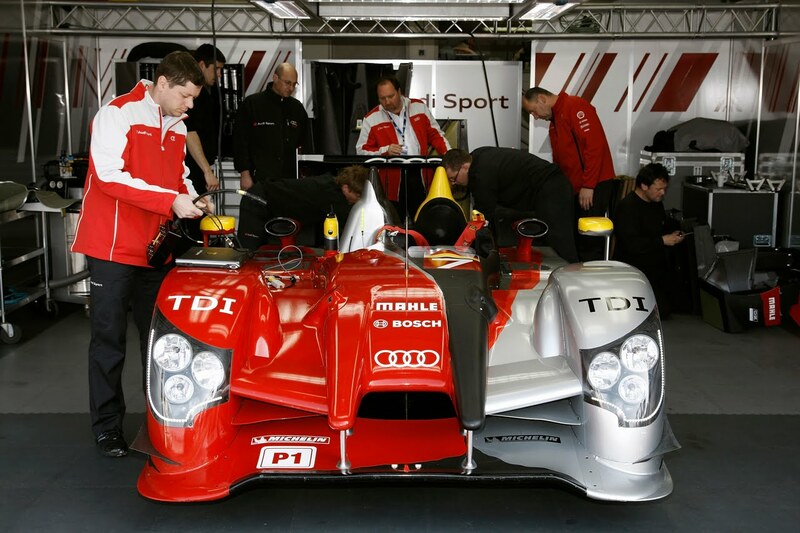 Also, included with the letter is great new photo of the Audi R15 plus live from Le Castellet. "Bonjour from Le Castellet! 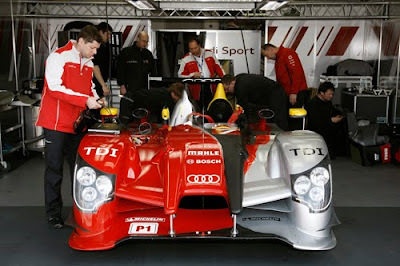 There’s some good news to report: on Wednesday I was finally able to drive the new Audi R15 plus at Monza. As you know, I tore the heel tendon in my left leg in January while playing badminton. Even my doctors were surprised that I’m able to sit in a race car again just twelve weeks later. After just a few laps I really felt comfortable in the cockpit again and I had much less of a problem than in 2007 after my serious DTM accident. The lap times were immediately right and I reeled off the short program which the guys from Audi Sport Team Joest had given me. Using the clutch was the most painful thing for me to do because I can’t properly push down the pedal yet. I’m sure you can imagine that it takes a lot of force to depress the clutch pedal in a LMP1 TDI car. You’ve got to push 50 kilograms each time - and in my case with an injured left foot that was heavily swollen after the test. That’s why Audi’s doc Christian John, the team and I decided yesterday that I will not race at Le Castellet this weekend. Especially because I’ve been making such good progress with my recovery we can’t take any risks - and, what’s more, the tests on the agenda for the next few weeks are a lot more important for Audi and me than the race at Le Castellet. Le Mans continues to be our big aim and we mustn’t lose sight of that. Now don’t get me wrong: it’s not that the race at Le Castellet isn’t important to Audi - it is, but it’s not the same as the season opener of a racing series. We’re not competing for the championship here. Instead we’re using Le Castellet to get to know the R15 plus in racing conditions as early as possible and to get the team to gel. Tests and races are simply like two pairs of shoes that complement each other - we need both of them. We can try out a lot of different things while testing. It’s easier to analyze and make corrections. On a race weekend that’s impossible because everything has got to fit to a T. There’s no second chance and there are no excuses. You drive in traffic and keep pushing the limits. It’s simply in the nature of things that humans can use their potential to a greater extent when they’re in a competitive situation. That’s why I also take my hat off to the race mechanics who work at the Le Mans 24 Hours. They’re on their feet for over 36 hours on both race days and can’t afford to make the slightest mistake even under extreme stress. They train and practice too - but with the adrenaline at a pit stop during the race the situation is surely different. You can see that in the DTM or in Formula 1 as well. You can practice each move a thousand times - but under the pressure of race it’s always possible that a couple of things go wrong. It’s no coincidence that the guys from Audi Sport Team Joest have been known for their fast and reliable pit stops and their great job at Le Mans for years. There’s an incredible number of little things and details which are crucial at Le Mans: strategy, the right timing with the tires, monitoring and quickly analyzing telemetry data, communication with the drivers and much more - I’ll be telling you about that in more detail over the next few weeks. Just so much for today: you could hardly wish for a better crew at Le Mans. They’ve had a part in six of my eight Le Mans victory. In June, we’re shooting for another one. Even though I won’t be driving at Le Castellet, I’ll be at the circuit for the whole weekend. I’ll closely watch all the activities, attend the technical meetings and do my part to make sure that we’ll learn as much from this weekend as possible. And, fortunately, there’s no Starbucks close by. Allan and Dindo are being taken care of by our great catering crew and don’t have to mooch off me ..."